Tenby is a series of modular geometric display sans serif fonts with a hint of Art Deco combined with a 1980s finish. 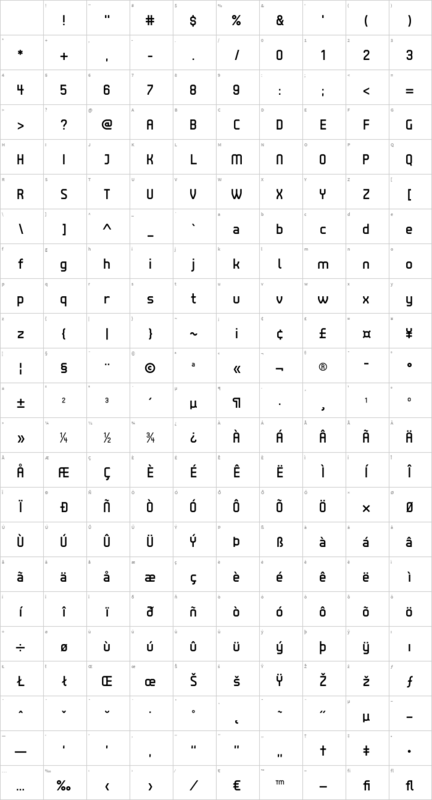 The fonts’ underlying grid is ten squares high. 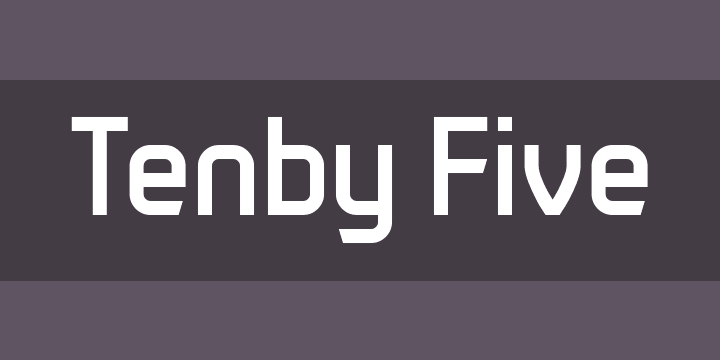 Their widths correspond to condensed (Tenby Four), normal (Tenby Five) semi-extended (Tenby Six), extended (Tenby Seven), and extra-extended (Tenby Eight). Each contains two weights, light and regular. Although text sizes are still quite legible, the fonts work better at large sizes.